To-do lists are very helpful to stay organized and efficient but can be stressful and overwhelming if not managed in the right way. For example, sticky notes and old-fashioned notebooks simply don’t work. They lead to rewriting as they get messy and wasted hours searching for misplaced notes. A digital task manager is the best solution. Once you try it, you’ll never go back to pen and paper again. Having tested many different apps for work and personal use, I highly recommend using either “Things” or “Priority Matrix.” The following is a summary of the two. 1. “Things”– A very simple tool that is easy to use and full of great features. You don’t need a manual to get started. In general, “Things” categorizes items into most immediate “Today” vs “Someday” or “Scheduled” with alerts. It’s great for keeping special projects organized including work items as well as personal lists (i.e. holiday planning, grocery shopping). It’s especially helpful that all info synchs across the cell phone, tablet and desktop instantly. I like how the app allows for printing lists, which is not an option with other programs, such as the popular “Reminders” app. I recommend downloading “Things” and experiencing the benefits firsthand. More info here. 2. “Priority Matrix” – Another useful app designed for busy people who need to manage priorities. What is most appealing is how it shows all tasks in one screen view, broken up into four customizable quadrants. It synchs across all devices and also allows you to drag emails, urls, pdfs & files onto any quadrant to create tasks. Quadrant 4 – Uncategorized – This is your inbox to store everything. Can use this section for jotting quick notes & then move tasks to a quadrant later. If you want to learn more, visit website here. 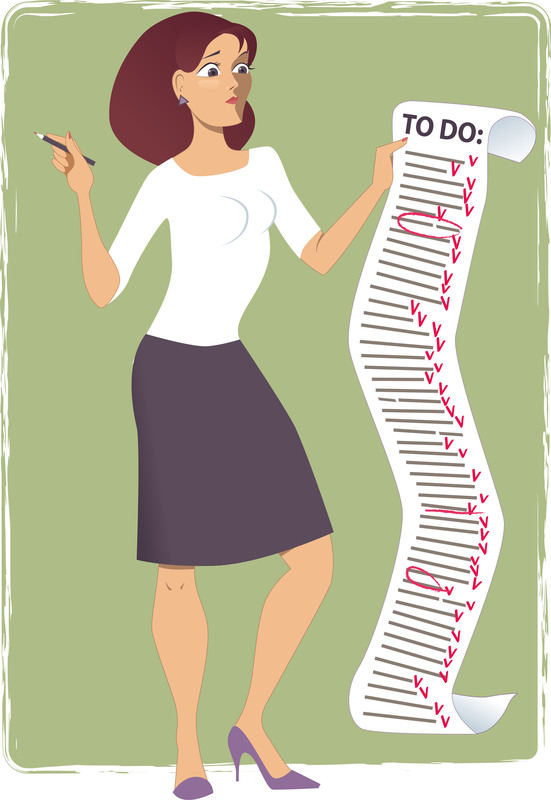 What’s your methodology to effectively managing to do lists? Is it working or is it time for a new approach?